The Customer came up with an idea to create an innovative crowdfunding platform and hired Iflexion to perform this task. Innovative projects often need initial investments. In today’s world, funds are often raised with the help of crowdfunding rather than large investors. Online solutions provide great opportunities to attract people’s attention and gather necessary sum via internet. Our Customer had a good understanding of the way charity institutions function and an idea of leveraging modern technical capabilities in order to make the process of fundraising easier. Iflexion’s team demonstrated the required experience in implementing social networking projects, as well as online communication and crowdfunding platform development, which is why the Customer entrusted this project to us. The solution developed by Iflexion is an online platform with rich social media features. Its purpose is to allow people who have certain ideas or urgent demands find the audience ready to provide the necessary funds. Users can register and create personal profiles, establish fundraising campaigns to collect money, or look for projects they might be interested in. In order to provide the Customer with a payment processing system, Iflexion’s team developed a secure, easy-to-use website for people to make donations. Payment receipts and an accounting system are integrated with PayPal. One can search for projects or a donation employing the filters empowered by a customized Google Maps interface integrated into the solution. The system also boasts a comprehensive and attractive user interface. Regardless of their technical background, users can easily add media content, upload files (including videos), leave comments and reply to them. One of the solution’s bright features is its integration with social networks, Facebook and Twitter in particular. A user can log in with their social media accounts and engage a wider audience in the work on the project, as well as share content thus making it viral. 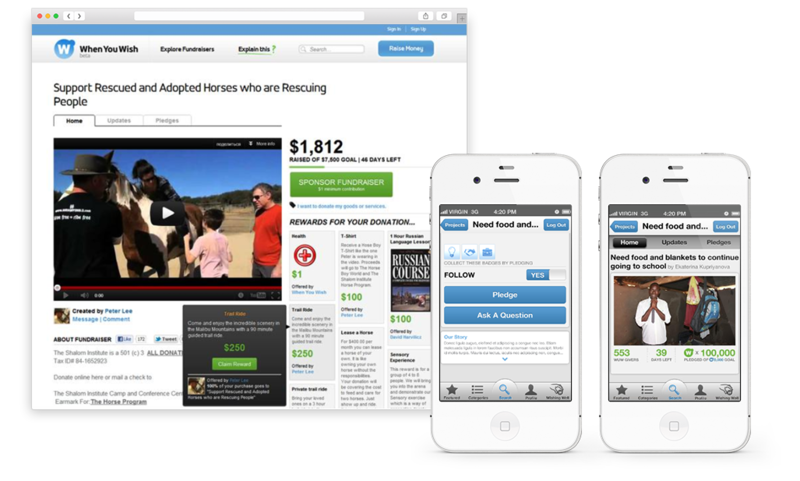 In order to make it easier for the fundraisers to stay in touch with their audience, Iflexion specialists created native iOS and Android applications with all the functionality of the web solution. This enables the solution users with an opportunity to keep track of their projects and donate money on the go from a mobile device. To provide the Customer with crowdfunding platform development up to their standards, Iflexion team leveraged the latest technology and a smart architectural approach. As a result of this collaboration, the Customer got an innovative and secure web platform for effective and simple fundraising. Iflexion develops an intelligent app that helps users find perfect dating partners via a Python-based recommendation engine.